We developed "Ouchi de JAXA" in collaboration with JAXA (Japan Aerospace Exploration Agency) as the third series of "Series at Home". In "Ouchi de JAXA", users can experience the real launch of "H-II A rocket and H-II B rocket" at Tanegashima Space Center and "Epsilon rocket" at Uchinoura Space Observatories. Users can also enjoy a 360o-virtual tour inside JAXA's research facilities in Tsukuba, Sagamihara, and Uchinoura. In the retail version, there are records on 3 rocket launches in 5 bases, 18 facilities, and it is possible to enjoy the records by VR. We recommend first-time users to enjoy the trial version first. ② Access “Ouchi de JAXA (trial version)". "H-II A rocket and H-II B rocket", which have the world's top class launching success rates and the world's best on-time launching rates, were developed using a technology that was used in Japan's first domestic rocket, the "H-II rocket". The rockets have been used to launch various satellites and probes. In cooperation with JAXA and Mitsubishi Heavy Industries, Ltd., In this app, "H-II A rocket" was specially filmed from the hill in front of the Tanegashima Space Center management building, which is different from the usual shooting location used by the media. Users can observe extraordinary videos of unique rocket launching moments and 360o-views of the inside of facilities that cannot be seen entirely in one day. We hope that by using “Ouchi de JAXA”, children who often dream about space and everyone who cannot physically visit JAXA facilities can broaden their interests on space. 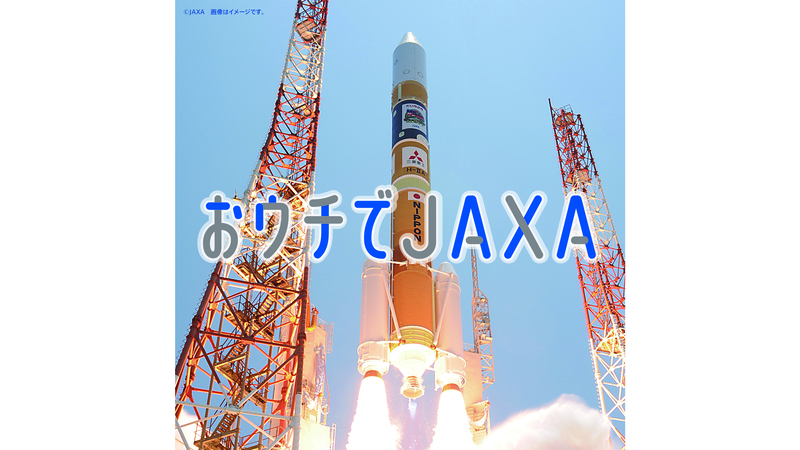 “Ouchi de JAXA” can be purchased from JAXA facilities, Mitsubishi Minatomirai Industrial Museum, or Amazon.